Sweet Home 3D Forum - View Thread - Same image – like night & day - a miracle? Thread: Same image – like night & day - a miracle? Re: Same image – like night & day - a miracle? I think I prefer dark level 2. The difference might seem minimal on these small pictures, but will probably be a lot more visible on a larger image. By default, the dark value is 0. 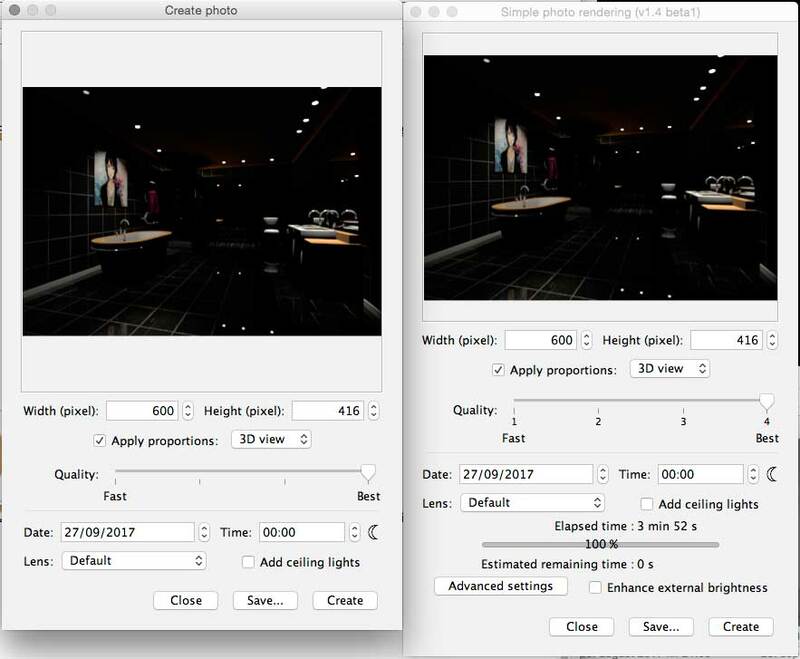 You can test the minimum night brightness (dark value 1/255) with the beta version of the plug-in . On the two lower images I can see there is a blue hue that is more visible on dark level 1 than on dark level 2, but it seems to be the other way around on the two bathroom images. Does this have anything to do with sky texture or colour? 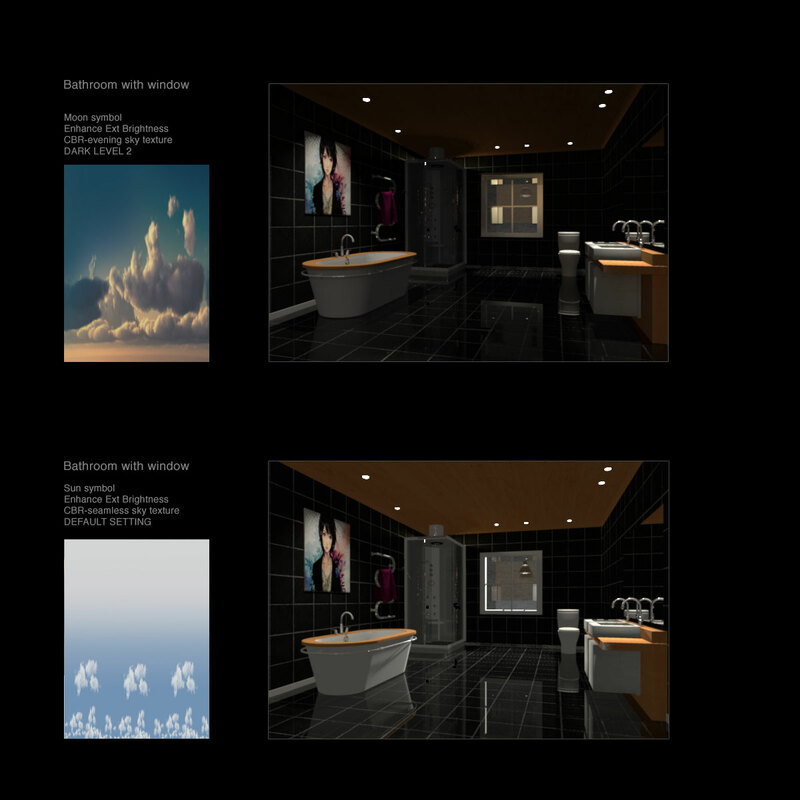 As the SimpleRoom.sh3d project has an outside opening, I used a black texture for the sky. I did, but I did not notice any difference from the default renderer. With your project, the difference between dark value = 0 (default renderer) and dark value = 1 is not obvious. That's why I added dark value = 2. The PVR-1.4_betaTest version will allow you to choose the desired dark level (0, 1 or 2). With dark level 2 I can see the body of the bathtub. This bathroom has no windows. I think adjustable DARK LEVEL is a keeper. The option can also be used for the exterior. 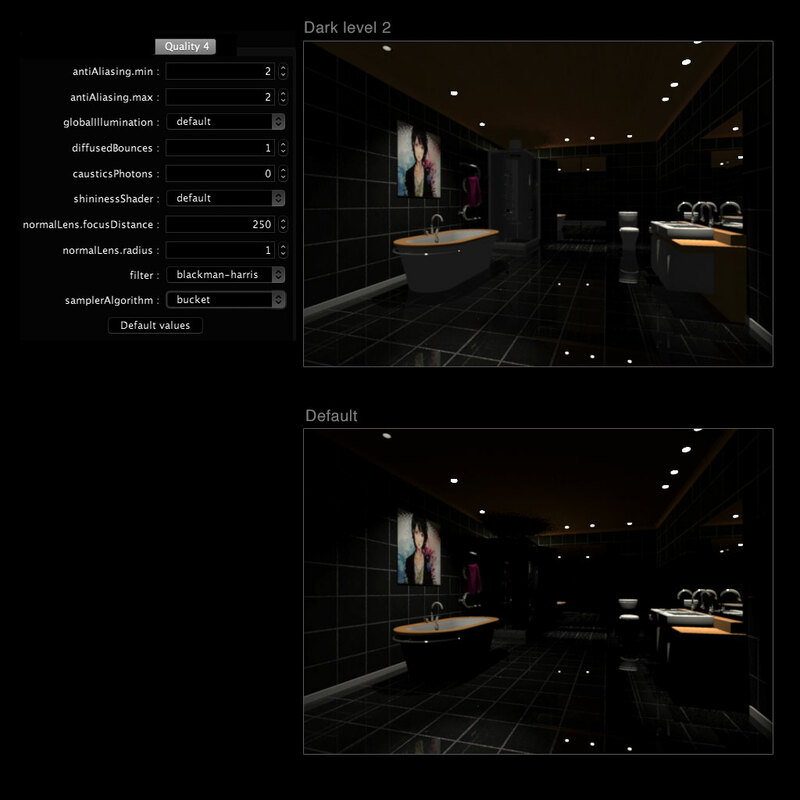 I think I will also choose dark level 2 for the final version of the plug-in. I like dark level 2 renderings! Thank you EnkoNyito.